The legacy of Chunuk Bair by Colin Townsend. When New Zealanders remember Gallipoli, they think of 8 August 1915. ANZACs in Iraq by Chris Coulthard-Clark. Australian and New Zealand airmen fought side by side in the cradle of civilisation. 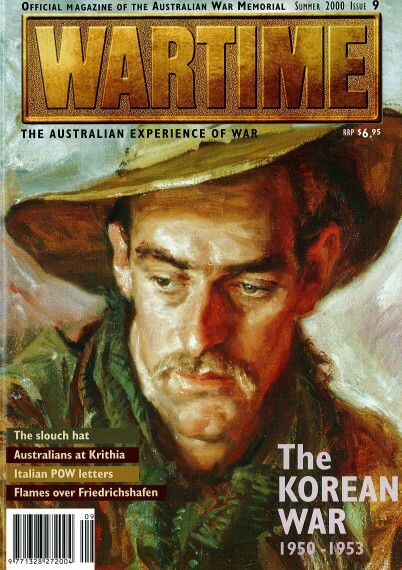 ANZAC Today by Frank Glen. What does ANZAC mean to contemporary New Zealanders? And children still bring flowers by Judy Cannon. Eighty years on, an English village remembers the ANZACs. Malta's AIF connection by Bill Billett. Australians did not fight and major battles on Malta, but 1,200 First and Second AIF soldiers are buried there. Captive cartography: POW map production by Dianne Rutherford. Under the noses of their guards, Allied POW’s showed remarkable ingenuity in creating aids to escape. Mishaps and misadventures by Moreen Dee. Australians in the Boxer Rebellion. VC winner – Flight Sergeant Rawdon Hume Middleton by Murray McLeod. Echoes of Thermopylae by Ross Lloyd. History repeats in the Brallos Pass, Greece. Desert gems by Betty Snowden. Little known and rarely seen, these small oil panels by George Lambert are “full of life and local colour”. A story that must be told - HMAS Armidale by Sarah Kearney. 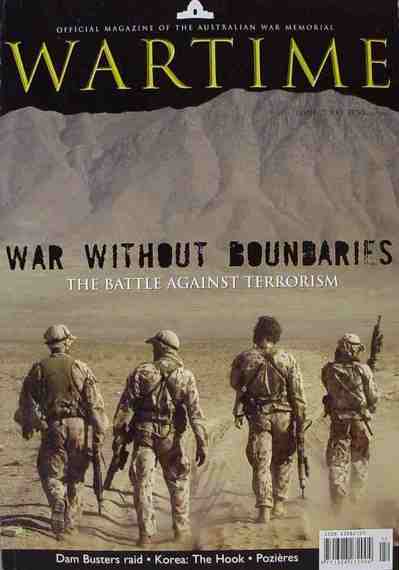 An abridged and edited version of the winning esay in the wartime experiences category of the 2000 National Challenge. A sideshow in Dublin by Georgina Fitzpatrick. An Australian soldier defends British rule in Ireland during the Easter Rising, 1916. Kangaroo feathers and the mystique of the Light Horse By Peter Aitken. Throughout history, mounted troops have been known as elite men of arms. Army Centenary Parade. The Army celebrated 100 years of service with a parade in front of the Australian War Memorial on 10 March 2001, at which it received a new Army Banner, a gift from the nation. 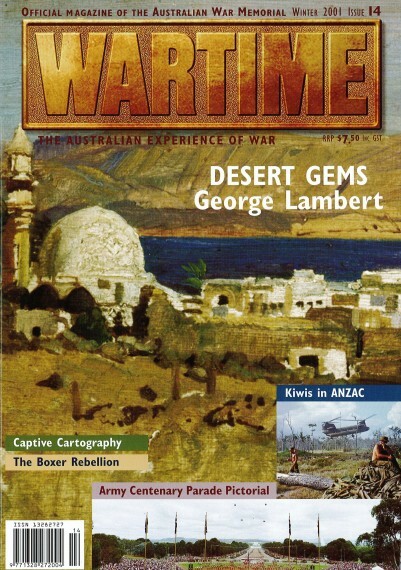 Australians at war – The television series by Peter Stanley. The making of the film.